Today is the official holiday of Pi Day!! As a former math teacher, I love to celebrate it. Last year I gave you some of the sheets I used with my high school classes to celebrate it and to justify our having pie. This year I thought I would look at a bit of the history of pi. π is the lower case Greek letter. The upper case Greek letter ∏ has a completely different mathematical meaning. 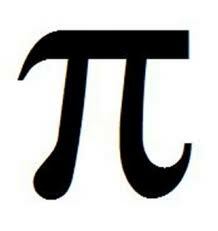 π is represented by the Latin word pi, which in English is pronounced "pie." And this is where we get into the fun of π day as a math teacher and a math student. Anyway, today is π day because of its date: March 14 or 3.14. The earliest known use of the Greek letter, π, is in 1706 by William Jones. It was not adopted by other mathematicians until Leonhard Euler began to use it in 1736. Previously mathematicians would use letters like c or p. Since Euler had communication with many mathematicians throughout Europe the symbol took off. The first recorded algorithm to calculate pi was around 250 BC by Archimedes. The algorithm was the main one used for over 1000 years and pi is also sometimes referred to as Archimedes constant. His algorithm is similar to one of the worksheets I developed for my geometry students here. Now based on the ratio of the Great Pyramid at Giza of it perimeter to height, some believe the ancient Egyptians had knowledge of pi. This pyramid was built in 2589–2566 BC and the ratio works out to be 2π. The earliest written approximations for π were in Babylon and Egypt between 1900-1650 BC. In India it was recorded around 600 BC. Two books in the Hebrew Bible (written between the 8th and 3rd centuries BC) also mention use of π. China also had approximations for π. In the beginning it was 3. Around 1 AD they had it at 3.1547. Around 265 AD, the Wei Kingdom mathematician Liu Hui created a polygon-based iterative algorithm and used it with a 3,072-sided polygon to obtain a value of π of 3.1416. he Chinese mathematician Zu Chongzhi, around 480 AD, calculated that π ≈ 355/113, using Liu Hui's algorithm applied to a 12,288-sided polygon. With a correct value for its seven first decimal digits, this value of 3.141592920... remained the most accurate approximation of π available for the next 800 years. The development of infinite series revolutionized the calculation of π in the 16th and 17th centuries. Although infinite series were exploited for π most notably by European mathematicians such as James Gregory and Gottfried Wilhelm Leibniz, the approach was first discovered in India sometime between 1400 and 1500 AD. The first written description of an infinite series that could be used to compute π was laid out in Sanskrit verse by Indian astronomer Nilakantha Somayaji in his Tantrasamgraha, around 1500 AD. For most numerical calculations involving π, a handful of digits is sufficient. According to Jörg Arndt and Christoph Haenel, thirty-nine digits are sufficient to perform most cosmological calculations, because that is the accuracy necessary to calculate the volume of the known universe with a precision of one atom. Still people have worked very long tedious hours to calculate π to the thousands and million digits. Perhaps it is because of the human desire to beat records and the press one gets when you do with π. The uses of π for most people are restricted to simple geometry. Things like finding the circumference of a circle, the area of a circle, the volume of a cylinder, cone or sphere. In trigonometry, students are usually introduced to radians which involve π. (The calculation of a radian comes from using the circumference of the circle.) With further study of math, π appears in other things, but the level of math is calculus and beyond. I will share one interesting place however. 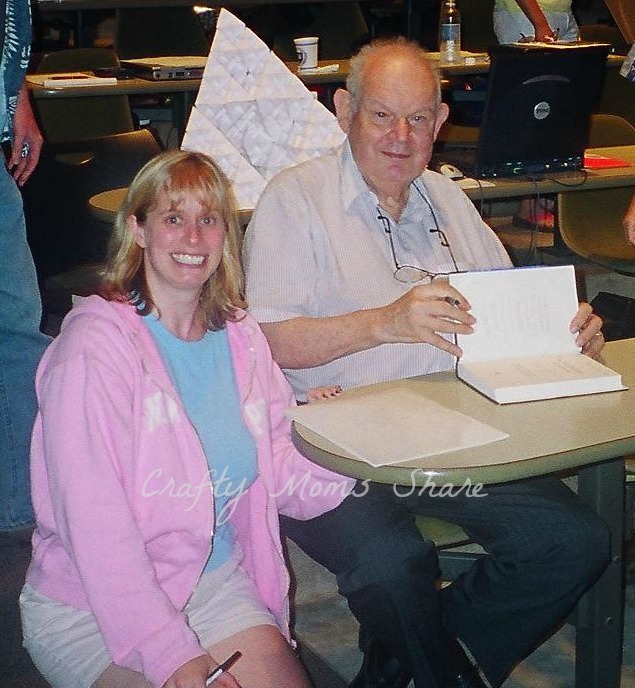 I will admit I am fascinated by fractals and have met Benoit Mandelbrot and his wife in person, so this may be why I find this one so interesting. An occurrence of π in the Mandelbrot set fractal was discovered by American David Boll in 1991. π can be computed from the Mandelbrot set, by counting the number of iterations required before point (−0.75, ε) diverges. We find further uses in physics, statistics, and engineering. Again I will not go into the mathematics and confuse many, but thought it was worth mentioning the reason why we need π. My source for most of this post beyond my prior knowledge as a mathematics teacher is Wikipedia. It's interesting you mention the fractals- I hadn't considered Pi as related to them- I am OBSESSED with Phi- and have been wanting to do a post on Phi for Kids forever....I have some great ideas for how to present the concept, but just haven't made the time....one of these days! Anyway- back to the fractals- I was just thinking that if there were a Pi Day, there should DEFINITELY be a PHI Day, don't you think? For a ratio as ubiquitous and fascinating as that? :) Great post- thanks for the information!